DDA partners with WCLAC to support women and girls in Palestine. The Women’s Centre for Legal Aid and Counselling works to reverse discrimination against Palestinian women and promote their social and legal rights under international human rights standards. The Women’s Centre for Legal Aid and Counselling is a not-for-profit, non-governmental organisation that seeks to develop a democratic Palestinian society based on the principles of gender equality and social justice between men and women. Established in Jerusalem in 1991, the organisation has special consultative status with the UN Economic and Social Council (ECOSOC). By forging a feminist vision based on equality and social justice, WCLAC plays a prominent role in addressing gender-based violence in Palestinian society in both the public and private spheres. 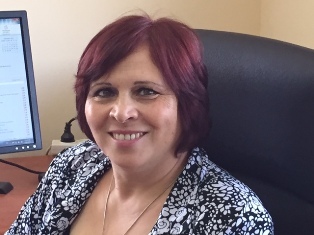 Founded by Maha Abu-Dayyeh and now led by its new General Director, Randa Siniora, WCLAC is active in East Jerusalem, all over the West Bank in areas such as Ramallah, Hebron, Bethlehem, Jericho, as well as the Gaza Strip. The Service Unit provides essential social and legal services to Palestinian women as well as offering emergency protection from gender-based violence. The Capacity-building Unit works with Palestinian volunteers all over the West Bank giving them tools to become advocates for women’s rights within their own communities. The Advocacy Unit concentrates on change at the legislative and institutional level (lobbying and documentation). WCLAC recently completed work on the Takamol Project, a three-year project that developed a health-social-legal referral system for female victims of violence. Its Women’s Voices Project trains female fieldworkers researching the gender-specific impact of human rights breaches in Gaza and West Bank (an extensive resource of testimonies and legal analysis is available in the Women’s Voices section of WCLAC’s website). Maha Abu-Dayyeh and the organisation have received numerous international human rights and leadership awards. WCLAC is a member of the Euro-Mediterranean Human Rights Network, the SALMA Network (focuses on violence against women), the AISHA Network (chiefly secular feminist groups in the Middle East and North Africa), the Council of Palestinian Human Rights Networks, and the NGO Forum on Violence Against Women. Asma, 17, was betrothed to a 19-year-old, but her pregnancy was culturally considered out of wedlock, and even after they married, she couldn’t claim her baby. Her father was furious and threatened an ‘honor killing.’ She came to WCLAC for the intervention that saved her life, her marriage, and her child.